Report suggests the UAV industry in India will reach Rs 6,257 crore by 2021; drones likely to open up job avenues. New Delhi: India has started using the drone technology in fields as diverse as railways, mining and agriculture, going beyond its traditional utility as a surveillance tool. In March this year, a report by BIS Research that provides market intelligence for emerging technologies estimated that the UAV (unmanned aerial vehicle) industry in India would reach $885.7 million (Rs 6,257 crore approximately) by 2021. ThePrint takes a look at the industries currently using drones in the country. Drones are being increasingly adopted by farmers to gather information about crop health and for identifying the presence of pests and insects. A few days ago, the Karnataka government said it would utilise drone technology to estimate crop damage. 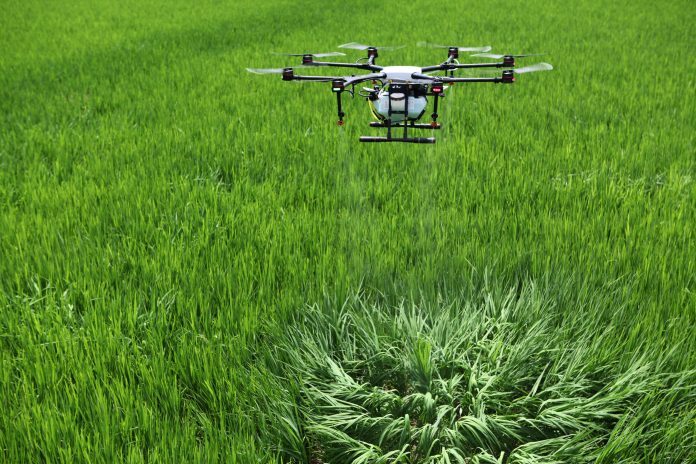 According to John Livingstone, founder of the Indian Institute of Drones (IID), drones can also spray pesticides over fields, thus helping the farmer avoid the harmful effects of such chemicals. Shivam Sharma, assistant vice-president (projects) at the Centre for Agriculture and Rural development and a student at IID, anticipates immense benefits of drones for agriculture. “In Punjab, for example, the fields are sometimes spread over 500 acres. It is impossible for the farmer to keep track of the entire area,” he said. Drones are being increasingly used for large-scale infrastructure projects. In recent times, drones have been deployed by the Indian Railways in order to monitor projects and maintain rail tracks. The state-owned GAIL also hired drones in order to keep a track of its pipelines. According to Gokul Kumaravelu, marketing head at Skylark Drones, drones also help develop the feasibility analysis required for large infrastructure projects such as construction of national highways and laying pipelines. “Drones have the inherent ability to acquire authentic data very fast. They help reduce the time required for such studies from 6 months to 2 months,” he said. “Further, since drones rely on imagery, the scope for mistake is very less,” he added. According to an EY-FICCI report, drones can help “run simulations for blasts” which can prove useful for mining engineers. They can also be used to monitor specific sections of mines. With Skylark Drones having worked with Tata Steel on mining projects, Kumaravelu says that drones were able to increase efficiency by providing an estimate of how much iron ore is being extracted every day. They also help bring in transparency, bridging the gap between the industry and the regulator, helping them review the mining sites on a real-time basis, he added. Power Grid Corporation of India has also begun to use drones in order to monitor transmission lines. According to the EY-FICCI report, another PSU is using drones in order to help meet India’s solar energy needs. According to Kumaravelu, drones aid renewable energy projects in various ways. In hydrology studies, for example, drones allow studies on a micro scale, which wasn’t the case with the satellites used earlier, he added. According to Livingstone, the police are extensively using drones for surveillance. “In 2016 alone, police departments in various states put out tenders worth Rs 250 crore seeking drones,” he added. Livingstone’s IID has also trained officers from Andhra Pradesh and Telangana’s anti-terrorism units. “Organisations spread over large areas also use drones for monitoring the security situation,” he added. Anurag Ramdasan, an investor at 3one4 Capital, said drones are also being used for cargo inspection. According to Livingstone, drones are being utilised in filmmaking. Apart from wedding filmography, about 30 per cent of the shots in movies are captured using drones, he said. “Drones are definitely going to be a significant source of employment. There are sections in the government convinced about its tremendous efficiency,” said Anirudh Rastogi, managing partner at TRA Law, a startup. “Drone pilots, trainers and software designing for drones are new opportunities,” he added. Kumaravelu said, apart from piloting drones, the drone industry can also provide job opportunities for data processing and analysis, computer vision and artificial intelligence. At IID, 550 drone pilots graduated last year. A seven-day course costs anything between Rs 28,500 and Rs 49,000 depending on the type of drone. According to most stakeholders, the challenge for the drone industry has so far has been mainly from the regulatory authorities. It is for this reason, Ramdasan pointed out, that the industry hasn’t realised its true potential and lacks skilled professionals. “Currently you have to take permission from the DGCA, police and sometimes the wireless planning commission, defence authorities, airport authority, and other local bodies if you are planning to fly a drone ” said Rastogi. “Technically drones used privately such as those at weddings are illegal. In India, it is legal to own a drone but not to fly one,” said Livingstone. Livingstone, who is part of a DGCA committee that will finalise norms for drone flying, said the government will soon launch an app called Digital Sky on which one can register drones and seek permission to fly them.